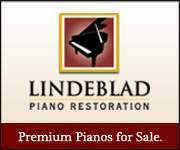 This piano has a beautiful satin finish from the factory. I'm the first owner, and I ordered with the satin finish for my living room. It looks beautiful! 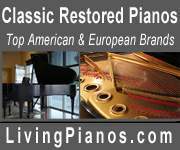 I purchased it new in 1998 from Keyboard Concepts in Sherman Oaks, CA -- an authorized Yamaha dealer. This piano has been well maintained with very little use. The wear on the finish is extremely minor... even the pickiest person will be thrilled with the condition of this instrument. It has been in a smoke-free environment, never in extreme temperatures and never in extreme humidity changes. I love the Yamaha sound -- the hammers and felt are still exactly as they were when they left the factory. Please email me with any questions, or if you want any other photos of other parts of the piano.